The 10 Best Sightseeing Tours in Iowa! From covered bridges in Madison County to the riverbanks of the Mississippi, there are plenty of scenic spots in Iowa that you can tour on your own. To get the most out of your experience though, it’s well worth signing up for one of the many different tours available through the state. 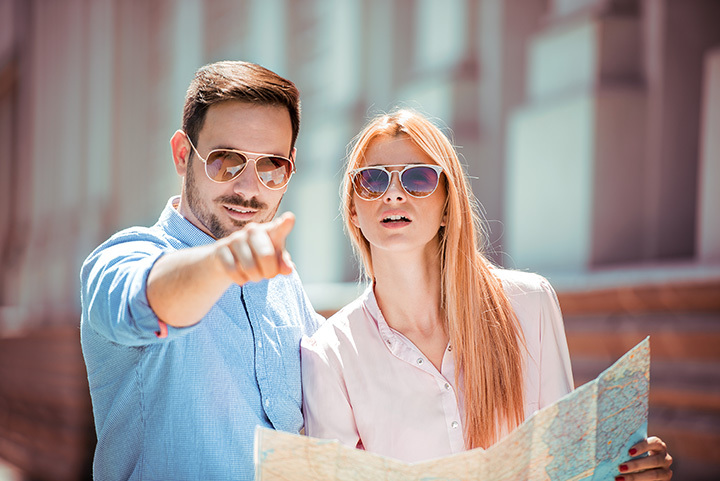 If you are looking to broaden your knowledge a bit in Iowa, and see some scenic sights, it is well worth your while to check out these 10 best sightseeing tours in Iowa. Serving as one of the most elegant riverboats on the Mississippi, the Riverboat Twilight experience out of Le Claire will have you seeing the sights, sounds and lifestyle found on this mighty river. For a quick afternoon attraction, the 1.5-hour sightseeing tour is great for an introduction to life on the river. If you want the full experience, you can opt or for the one or two-day adventure aboard the Riverboat Twilight. Featuring a spacious interior, a scenic exterior, and all the meals and lodging to make your experience a full one, there are few better ways to see all that the Mississippi Valley has to offer. Inspiring best-selling novels, a blockbuster movie, and countless photographs, there is just something palpable about the magic that radiates from the various Bridges of Madison County. While it’s a great sightseeing tour to go out and see these bridges on your own, the Madison County Chamber of Commerce is happy to give you a little more insight on why and how these bridges became so culturally significant. With half-day, full-day and two-day tours available, you can choose how much you want to see and learn, and with any option, you’ll be sure to catch some great glimpses at perhaps the most scenic covered bridges in the nation. You have many choices of experiences when visiting the Boone & Scenic Valley Railroad and Museum. Visitors can hop onto the “basic” excursion, which is misleading for the number of sights to be seen, or partake in a special event hosted by the rail line, including dinner cars, kid’s events and the Santa Express. Sitting on the train as it makes its way through the scenic valleys that surround Boone is a peaceful experience, of which can make anyone appreciate this mode of transportation that was once much more popular. With the adjoining museum waiting for passengers once they get off the train, there is plenty to see, do and learn when it comes to the Boone & Scenic Valley Railroad. If you ever wanted to take a peek into the life of an artist, then the Northeast Iowa Artists’ Studio Tour is right for you. Featuring 50-plus artist studios, all within 40 miles of the tourist-friendly town of Decorah, this unique annual attraction allows visitors to pop into, observe and talk with the artists who call this scenic area home. While on the tour, you might be surprised to see that some studios don’t look too differently than your workspace at home. And at all locations, you’ll get a behind-the-scenes glimpse at what it takes to make artful products that are sold throughout the country. Anytime of the year can be a great time to do some sightseeing in Elkader. Incorporated in 1891, this riverside town has blossomed nicely over the years to incorporate many of their historic structures with the scenic landscapes found throughout the area. This tour features 27 different historical sights, nine of which have landed on the National Register of Historic Places. If you want to get insight on these many eye-pleasing historical structures, then the self-guided tour made available by the city is the best way to go. Bring your camera! The Amana Colonies of eastern Iowa provide a pretty unique backdrop for adventure, and to get a little background on these seven villages, the Amana Colonies Convention and Visitors Bureau has you covered. Offering a variety of sightseeing and informational tours throughout the week, including a history tour and an arts and crafts tour, you can not only see all that the Amana Colonies has to offer, but you can learn about the unique development of the space and culture. A great introduction to the Amana Colonies, the tours offered should only serve as a starting point for exploring the rich environment of the Amana Colonies. If you want to bump up your next Mississippi sightseeing adventure, then look no further than SWAT River Tours out of Dubuque. These small-group river tours don’t involve just your ordinary sightseeing vehicle, and instead utilizes a lightweight and maneuverable R.I.B. boat, much like the ones the Navy Seals and other special forces use. This lightweight boat and certified captain of SWAT River Tours will have you flying across the water with great speed, and with communication achieved through wireless headsets, you can learn about the surrounding valley as you hold onto the boat with both hands. Home the Iowa Mayor’s office, and numerous other branches of the Iowa government, the gold-domed State Capitol of Iowa is both scenic and sightseeing worthy from the outside and within. Featuring Renaissance-style architecture and lavish interior, plus many works of art on the walls and delicate woodworking etched into the bannisters, any member of the public is free to tour the impressive halls and grounds of the capitol during regular operating hours. If you want to get the most out of your state capitol visit however, it’s well worth scheduling a tour which includes many insights on the history and continuing operations found within and around the state capitol. Labeled as the largest man-made grotto in the world, you can marvel for yourself at the Grotto of Redemption in West Bend any day of the week. Touring the seven different grottos that comprise the entire man-made marvel, it’s easy to lose yourself in the enormity of the task of creating such an enormous attraction. If you want to get the full story on why and how this grotto was built, group tours can be scheduled before visiting, and can provide a great look into a life’s work that is bound to remain for years to come. Any day of the week is an enjoyable time to visit the Historic Brucemore Estate in Cedar Rapids. Even if you don’t go inside this luxurious mansion on the hill, the gardens, grounds and just the ambiance of this scenic spot can provide a relaxing moment away from the usual routine. If you do want to take a look inside at the preserved furnishings and decorations, tours are available throughout the week and on weekends, all of which will help tell the story of the three different families that at one time called Brucemore home.